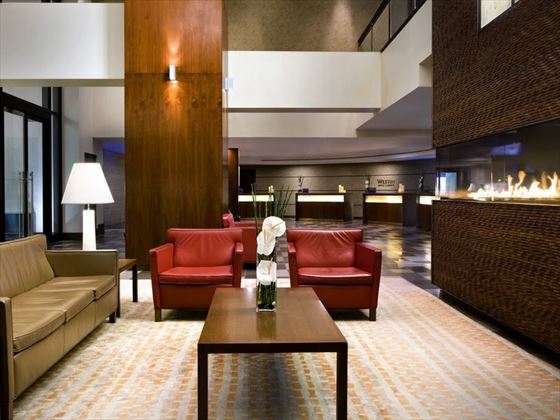 This upscale hotel is perfectly situated in the heart of Ottawa, adjacent to the Rideau Canal and connected to the Shaw Centre and Rideau Centre shopping mall. Not only does it make v, with staff ready to handle any problem that’s thrown at them, but it makes for a calming retreat with a tranquil atmosphere as well as an indoor pool and whirlpool, where you can soak your cares away. Breakfast is served in the onsite Daly’s Restaurant, featuring a lavish buffet with a wide range of options, including healthy fare and eggs cooked to order, to help you fuel up for the morning, while the fine dining steakhouse offers a seafood- and steak-focused menu for lunch and dinner. 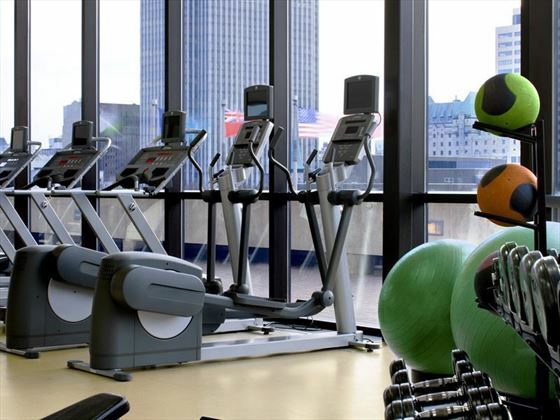 You can burn off those meals in the large fitness center that offers a host of equipment with magnificent views over the terrace where the chef grows his herbs. 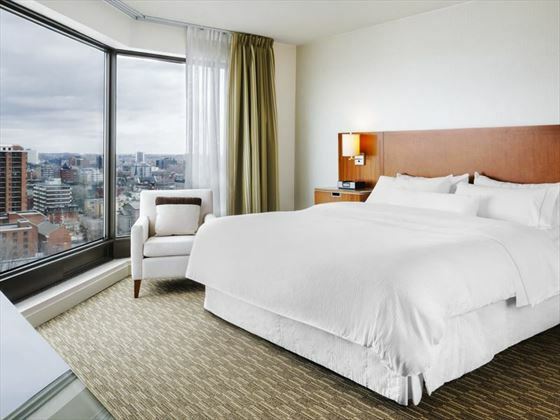 Traditional Guest Rooms – The Traditional Guest Rooms are 252 square feet in size and include one king-size bed, all standard amenities, and a view of the historic Byward Market through the floor-to-ceiling windows. 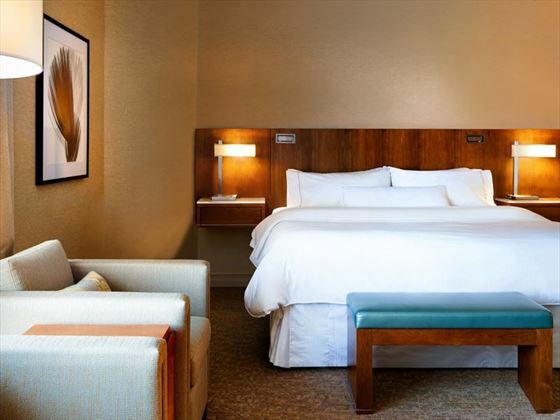 Premium Guest Rooms – These 252-square-feet rooms overlook historic Byward Market and include one king-size bed as well as all standard amenities. 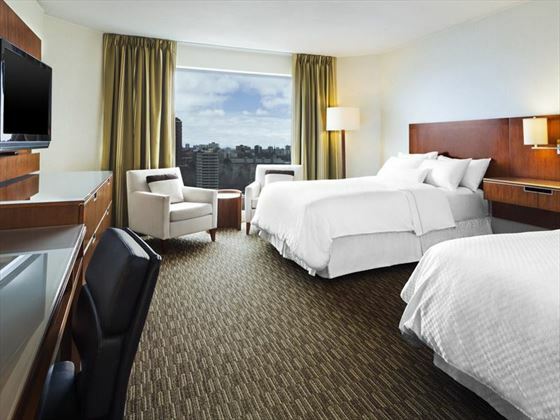 Deluxe Guest Rooms – The Deluxe Guest Rooms have 252 square feet of space and offer stunning views of Parliament Hill, the Rideau Canal and Byward Market, as well as all standard amenities. Corner Guest Rooms – The 352-square-foot Corner Guest Rooms offer additional space, views of Parliament and the Rideau Canal, as well as all standard amenities. 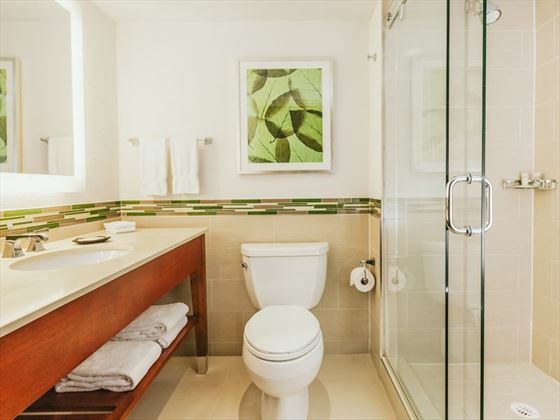 Junior Suites – The Junior Suites have 490 square feet and include a bedroom with a king-size bed and a separate living room with a sleeper sofa, as well as east views of Byward Market and all standard amenities. 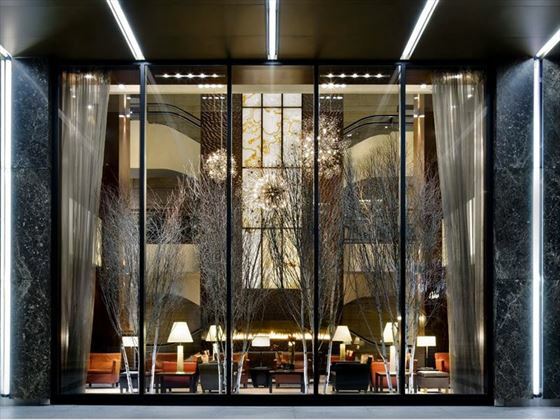 Specialty Suites – The Specialty Suites range from 610- to 870-square feet and include a master bedroom with two king-size beds as well as a separate living room with a sleeper sofa, a dining area, wet bar and conference table, as well as views of Parliament and the Rideau Canal. The hotel offers a number of dining options, including Daly’s Restaurant which serves breakfast daily and Weekend Brunch, and The Shore Club Restaurant, open for lunch and dinner. 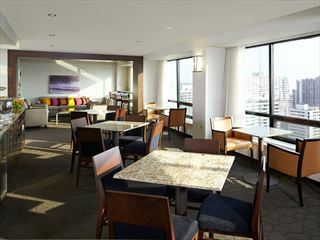 The Westin Ottawa is connected to the Rideau Centre Shopping complex, a 5-minute walk from Major’s Hill Park, overlooking Parliament Hill and the Rideau Canal. 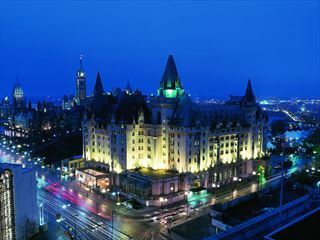 This is a landmark hotel with its magnificent limestone turrets reflecs the confidence, dignity and style of the thriving capital city. 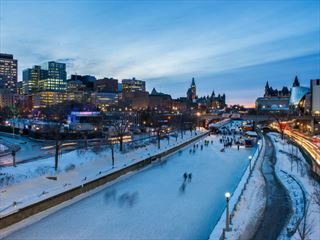 Located in the heart of Ottawa, overlooking the Rideau Canal and just minutes away from Parliament Buildings and National Gallery of Canada.